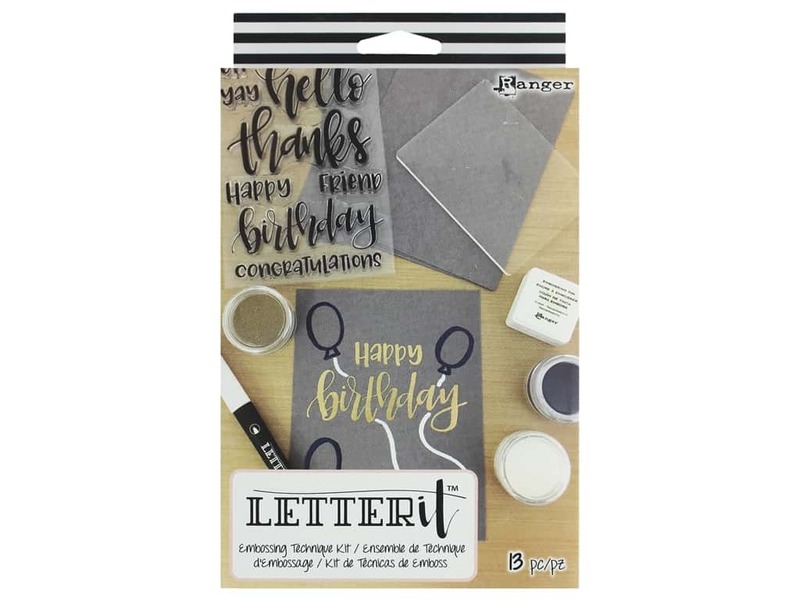 Description: Ranger Letter It Embossing Technique Kit includes a hand lettered style stamp set with all-occasion sentiments, a bullet tip medium pen, an embossing ink pad, acrylic block, five 4 1/4 x 5 1/2 inch gray cardstock sheets, a step by step technique sheet, and three embossing powders in white, gold, and navy. Ranger Letter It Embossing Technique Kit -- CreateForLess 5.00 out of 5 based on 1 ratings. 1 user reviews.